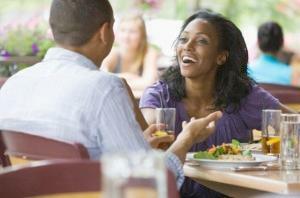 Relationships: Is It Better For Platonic Friends to Become Lovers? Or For Lovers to Become Best Friends? *Growing up, I was always told that in a relationship headed towards marriage or where marriage is already involved, the two significant others should be friends before anything else. The person explaining this to me always said that the same way we establish “best friends” throughout our lifetime — who we can bank on being a part of our life as long as we live — that type of friendship is important to establish with a lifelong intimate partner, otherwise known as a spouse. This led me to believe that those people that were platonic friends, before realizing they had feelings for one another, have the best and longest lasting marriages. I find it admirable that two people can be genuine friends first and then fall in love. Today you hear most people claiming they are marrying their “best friend” on their wedding day, but to me, the term is being misused and abused. A best friend is hard to come by, and every couple is not best friends with one another. Does this mean they are not in love? Of course not! Does it mean their marriage will not last? Of course not! It just means that it is unrealistic to believe that just because one is marrying someone, they are marrying their best friend. Now is it only normal and natural that after double digit years of marriage and counting, couples can grown to be best friends? I would think so…in this situation, I don’t understand how one’s spouse could not be their best friend, unless they are headed towards divorce. I believe that those couples that establish a friendship and understand the meaning of their significant other being their friend first, have a better chance of having a lasting marriage. This article continues at iDateDaily.